If you've tried gardening before and just couldn't get into it, perhaps you’re wondering, “How is it that so many gardeners love gardening?" While the reasons are simple, they certainly aren't the same for everyone. Here are just a few of the secrets to love -- garden love. The Child Inside – What was your favorite activity as a kid? Where could your parents find you most? If you answered, “Playing outside, probably digging in the dirt,” then you're destined to be a gardener. Nothing unleashes the kid inside better than gardening. In what other way, as an adult, can you find a better excuse to get your hands, face, and clothes caked in dirt? 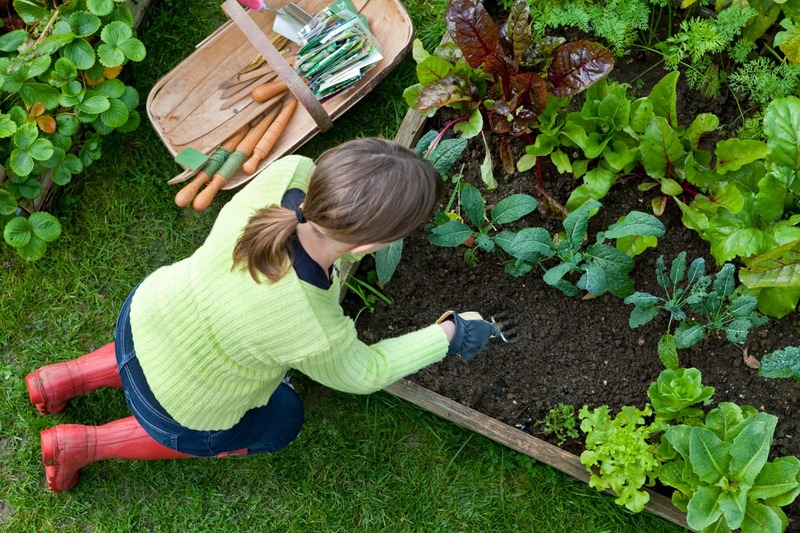 At your age, gardening is probably the only acceptable means of getting your hands dirty, so why wouldn't you love it? Peace and Quiet – Maybe you live a city dweller's life, maybe you have four kids to keep up with, or maybe your boss never gives you a moment's rest. If so, the garden can be your escape. Let Mother Nature wrap her arms around you; feel the sun beat down on your back, smell the fresh scent of the soil as you break it, welcome the chirping of the birds, and the refreshing relief of a cool breeze. Though you work until your muscles ache and your clothes stained, you've never felt so peaceful, so calm. Gardening has a unique way of slowing you down; no matter how fast you work, you can’t rush the harvest. A Place to Learn – Your weekly routine can become mundane. Though you feel as if you've mastered titles like mother, wife, boss, friend, homemaker, and partner, you don’t feel fulfilled. Why? Because you’re not learning. For the overworked and overtired professional who doesn't seem to be expanding mentally, the garden can be a safe place to learn, grow, and experiment. Though you may fail at first, nothing is more rewarding than watching a seedling mature.